With all of the writers we’ve talked about up until this point, it’s a travesty that we haven’t talked about the most important one. William Shakespeare is considered one of the greatest playwrights to ever live. His plays have inspired modern storytelling while they continue to be put on by actors around the world. Let’s take a look at what we know of this famous authors life. He was born to John Shakespeare and Mary Arden in Stratford-upon-Avon. We have no record of Shakespeare’s birth date, but he was baptized on April 26th, 1564. Many experts believed that his date of birth would have been the 23rd of April. 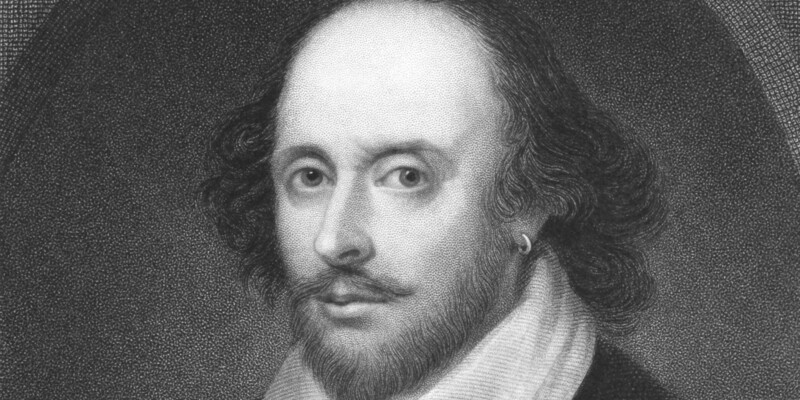 In addition to his birth date being officially unknown, there are no records of William Shakespeare attending school. However, many believe that he attended the King’s New School located in Stratford. When William was just 18 years old, he married an older woman by the name of Anne Hathaway. Hathaway was from the small village near Stratford, called Shottery. Anne Hathaway was pregnant at the time the couple was married and their first child, Susanna was born on May 26th, 1583. Two short years later, Hathaway gave birth to twins Hamnet and Judith on February 2nd, 1585. Unfortunately, at the age of eleven Hamnet passed away from unknown causes. Finally, in 1592, we have record of William working as an actor and playwright in London. While working for Lord Chamberlain’s Men (later changed to the King’s Men) William wrote and published popular literature. By the end of the 1590’s Shakespeare had 15 of his 37 plays published. With his plays becoming more and more popular, in 1599 William and a few others had built their very own theater, the Globe. This business venture allowed the playwright to continue working on his writing whenever he pleased. 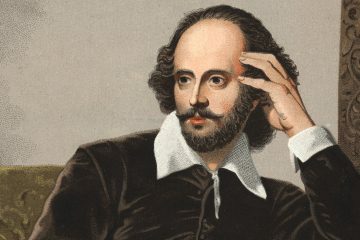 As we mentioned earlier, experts believe that Shakespeare was born on April 23rd. This is a popular belief among Shakespearean scholars because William passed away on April 23rd 1616. William died a month after he signed his will and there are no sources explaining the cause of his death.